As executive assistant, office manager, and bookkeeper, Ivana has implemented administrative infrastructure to Krystal Growth Partners and acts as a vital support to the whole team. 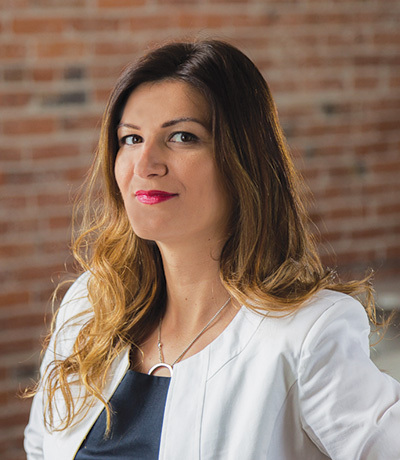 Ivana grew up in Montenegro, former Yugoslavia, and has been calling Vancouver home since 2010. She has a Bachelor of Education degree and was an Elementary school teacher for three years before moving to Vancouver. Ivana has a passion for planning and organizing and takes pride in her attention to detail. Having worked in an array of different industries, both client facing and otherwise, Ivana has excellent communication and people skills. Prior to starting at Krystal in 2017, Ivana spent two years working in operations as an operations coordinator for a startup company, working closely with the vendors and clients and acting as an office manager/bookkeeper.